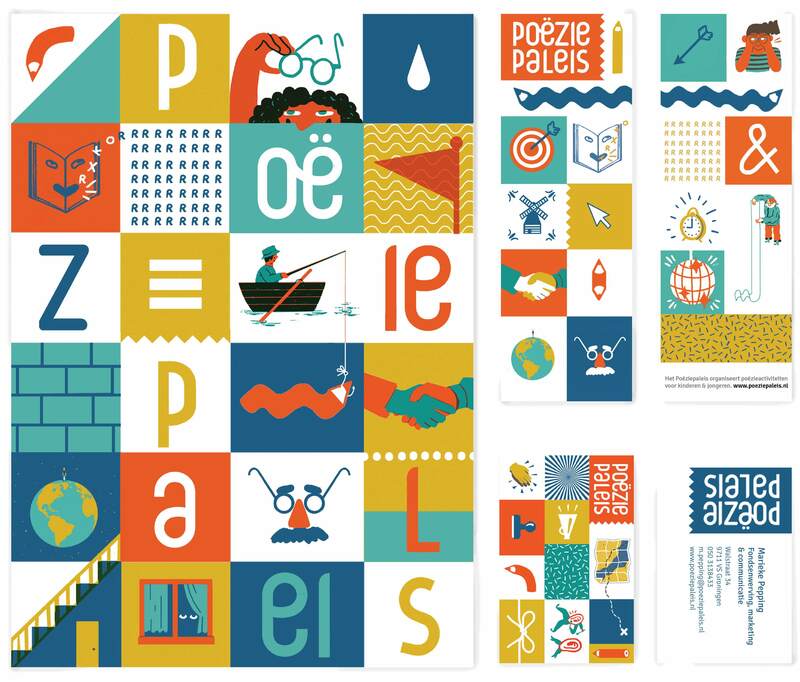 Corporate Identity designed for Poëziepaleis. The identity contains illustrations by 5 of Knetterijs’ members. Each small illustration is for a class or activity they organize, which were appropriated in designs for posters, bookkeepers and postcards.